Rose Calendula Floral Toner - 2 oz. 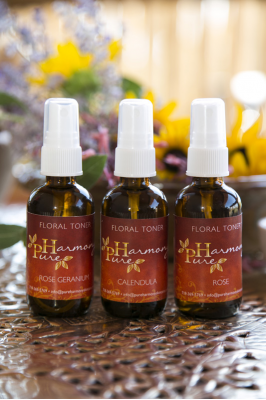 Home » Skincare Products » Rose Calendula Floral Toner - 2 oz. The best of both worlds. A wonderful toner for all skin types/doshas. Rose nourishes, cools and promotes cell regeneration. It diminishes redness, is anti-inflammatory, anti-depressant and calming. Calendula is especially soothing and healing to sensitive skin. It is astringent, anti-viral, anti-inflammatory and beneficial for epidermal healing.